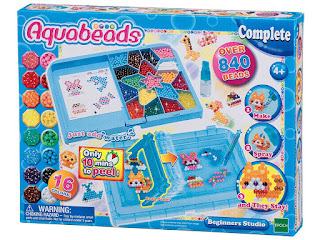 Get this Aquabeads Beginners Studio on sale for $8.08 (Retail $14.99). -Create animals, desserts, flowers and other fun designs! -Make, Spray and they Stay! -Peel your creation in 10 minutes and the beads stay in place!